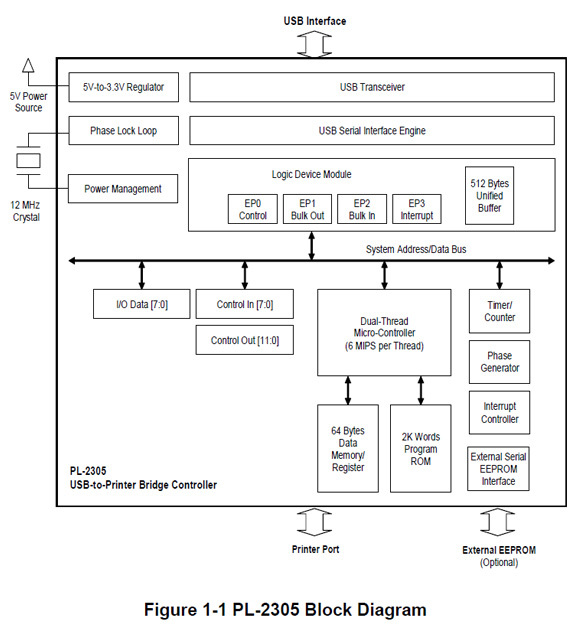 This resource is for PL2305I USB to Printer Bridge Controller. Click download to view the document. Full compliance with the Universal Serial Bus Specification Version 1.1. Full compliance with the Universal Serial Bus Device Class Definition for Printing Devices Version 1.0. Windows 7, Mac OS and Linux OS with built-in USB printer class device driver. Connecting printer devices may require additional printer driver installation.